Earning that coveted pilot license isn’t exactly a walk in the park. 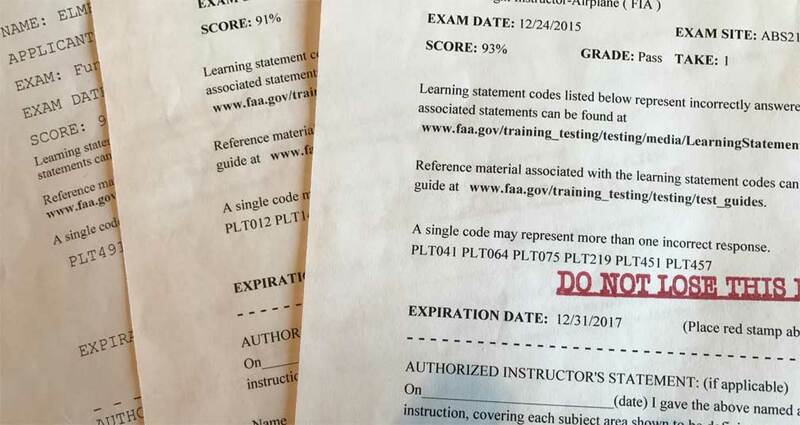 The U.S. Federal Aviation Administration or FAA makes sure that for anyone to pass the exam, he or she must go through rigorous testing and training. Applicants can’t expect anything less, of course, if the agency is to guarantee air safety. One advice to ensure that you get a good leverage come exam time is to choose a reputable flight school. You are learning the fundamentals as well as ground- and flight-based instructions. A good flight school will help you attain the required 40 total hours of flight time by giving you a balance of flight, oral, and written pre-tests and guidance from experienced instructors. The exam itself is comprised of 60 questions; you’ve to get a score of 70 percent or higher if you are to pass. The good news is the FAA itself offers a practice exam and other supplemental documents containing graphics, figures, and legends. Study these alongside the agency’s reference guide for learning statements that explains concepts into coded topics. Keep in mind that there are more than 500 learning statements to study for your private pilot test. During the actual exam, don’t be too much in a hurry and read the questions twice before answering. The idea to fully comprehend the subject matter. However, don’t give more value to particular questions over others as they carry the same weight. In short, if you really don’t know the concept being mentioned in a given question, just skip it. Aviation professional Scott Beale spearheaded negotiations for the acquisition of Mountain Aviation, performing due-diligence supervision, closing activities, and post-closing finalization, leading to its smooth transition to fully operate under Flightworks. More on Scott and his work here.